Lesley’s Blog: Is loneliness among older people putting them at risk of harm and abuse? You are here: Home / Blogs / Lesley’s Blog: Is loneliness among older people putting them at risk of harm and abuse? As our new Helpline moves into its sixth month of operation, call trends are confirming an issue we’ve been hearing about for some time – that some older people are so desperately lonely that they’d rather put up with harm or abuse than risk losing contact with the abuser. We know that it can be difficult to support those who do not want to accept help, especially where the abuser is a family member, but there are ways we can offer guidance and support. Anyone can be at risk of abuse, but the fact that many older people are also at significant risk of loneliness or social isolation inevitably compounds the problem. Not only does it mean the perpetrator may be able to abuse the older person undetected, but it can also mean that many victims are unlikely to speak up due to fears of being left on their own. We’ve heard of cases where older people condone harm or abuse by their children, but choose to endure it rather than risking their children (and hence often grandchildren) not visiting them. This can include physical, psychological or sexual abuse, as well as financial abuse or exploitation, or even neglect. We’ve also heard of cases where older people have been offered free call-blocking devices from their local council, but have handed them back as they’d rather speak to scammers than have no one to talk to. 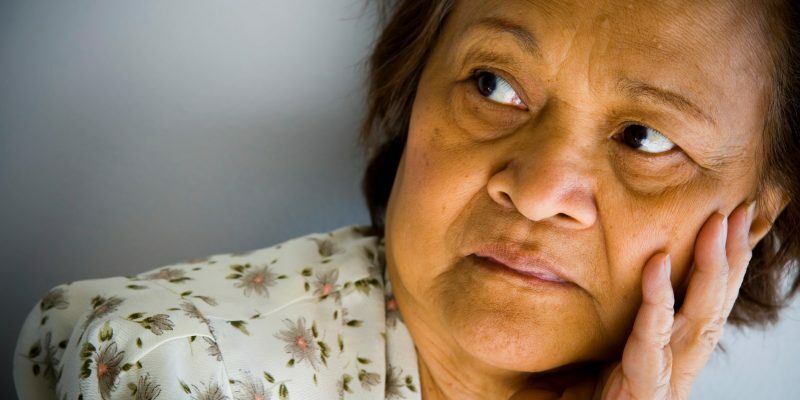 While cases such as these are common, alarmingly, the most common form of elder abuse is perpetrated by family members. In 56% of calls to our Helpline to date, the alleged perpetrator was a family member. 34% were grown up children, 16% were spouses or partners, and 6% were other family members. Call trends have also shown that financial abuse is the most commonly reported concern, accounting for an overwhelming 56% of calls. We’ve heard of numerous cases of children helping themselves to their elderly parents’ bank accounts or outright theft, many of whom have Power of Attorney for those with reduced capacity. Not only are victims unlikely to report what is happening due to fears of loneliness, but some are even threatened with being ‘put in a home’ or other consequences if they do. Yet we also know that some older people are surrounded by friends and family, but their vulnerability for other reasons (such as frailty or health issues) can make them an easy target. We heard from a lady recently who felt her elderly aunt was being ‘groomed’ by her carer. The lady was housebound and friendships were very important to her. Despite seeing her family regularly, she built up what she felt was a very intimate relationship with her carer, to the point she believed that her carer genuinely loved her and was her best friend. However, over a 3-year period her ‘carer’ had been stealing thousands of pounds from her. So how do we support older people in these situations? I believe that the key is for us all, including family, friends and agencies working with older people, to pick up on the signs of loneliness and encourage older people to speak up about their experiences. While some may not wish to report the perpetrator, we can at least support them to take steps to keep safe, improve self-confidence, or even seek social interaction elsewhere to reduce the reliance on the perpetrator. Everyone’s circumstances will be different, therefore it’s vital that older people have access to the right information and support. …or just a listening ear.